April 11, 2013 marks the 94th anniversary of Governor Al Smith’s signing the law that established New York’s system of local government Historians (Laws of 1919, Ch. 181). Smith was a history-minded leader. As an Assemblyman, he had sponsored the bill in 1911 that moved the State Historian’s office to the State Education Department and initiated the state’s local government records program. In 1919, his first year as governor, he was preparing to reorganize and modernize state government. His approval of the Historians’ Law was a milestone event. New York was, and still is, the only state in the nation to declare preservation and dissemination of local history to be a public purpose so important that it is embodied in statute. Officially designated local government Historians are at work every day throughout the state. 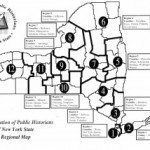 They have their own association, the Association of Public Historians of New York State (APHNYS), where a number of initiatives are under way, and their work is often discussed on this website, particularly in posts by Peter Feinman and Gerald Smith. The work of the Historians is critical to documentation and dissemination of community history. They exemplify the best in New York’s tradition of pride in history. They give New York an edge over other states in perpetuating its local history. But the potential of the Historians’ network for the future is even greater than its nearly a century of service and accomplishments. Study of history reminds us of the need for renewal and change as well as continuity. Historians need more support, guidance, resources and recognition. As the Centennial of the Historian statute draws near, strategies are needed to take the network to a new level. Strengthening their role throughout the state would require revisiting and updating their mission and goals. The timing might be right: governor Cuomo is very interested in history and often cites Al Smith as one of his role models. Listed below are a few possible strategies for consideration. Some are under discussion, some are new, and some were in the special 2011 issue of the PUBLIC HISTORIAN on New York. They and others are worth considering as Historians prepare for the Centennial in 2019. They might be initiated by APHNYS, the State Historian, State Museum, State Archives, New York State Historical Association, or other groups, either separately or in cooperation with each other. Some could be done unilaterally by individual Historians- others on a county or regional basis. A few would require new funding- most do not. What they need are leadership, coordination and good ideas, always in abundance in New York’s historical community. • Develop a mentoring program for new Historians. • Identify a vision and goals for the status and work of Historians in the Centennial year, 2019. • November is New York State History Month according to Section 57.02 of the Arts and Cultural Affairs Law. “The purpose of this month shall be to celebrate the history of New York state and recognize the contributions of state and local historians,” says the law. 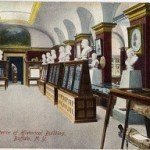 The Commissioner of Education is “authorized to undertake projects to recognize New York State history.” Ask the Commissioner to recognize the role of local Historians and their roles in educating young people next November. 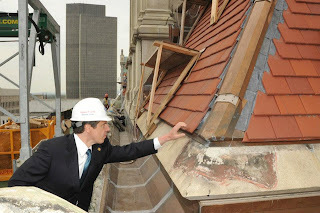 • Ask Governor Cuomo to issue a proclamation of New York History Month next November that recognizes the work of local Historians. • Develop a case statement (paper and also made available online) on THE BUSINESS VALUE OF NEW YORK’S LOCAL HISTORY that makes the case for history in multiple terms: community understanding, pride, and identity- the role of history in public life- history shedding light on current public issues- heritage tourism- preservation and research into archival records- and local history, family history, and genealogical research. Include descriptions of publications, projects, or other initiatives that Historians have carried out. • Drawing on Historians’ annual reports, presentations at conferences, and other sources, develop a publication (paper and online) with examples or case studies along the lines of LOCAL GOVERNMENT HISTORIANS: STRATEGIES FOR SECURING SUPPORT. • Local government officials often look to their associations for guidance. Initiate discussions with these associations, remind them of why local history is important, and make the case for why their Historians merit support even in hard times, The three key associations are: New York State Association of Counties, Association of Towns and Conference of Mayors and Municipal Officials. • Encourage Historians to provide information on the historical background and historical perspective on current public issues. Examples might include environmental issues- local funding for education- the historical impact of state mandates on local government and local taxes- or ways of preserving the historical character of communities in community renewal initiatives (Smart Growth America has background information on some of the issues). • Develop a NEW YORK STATE AND LOCAL HISTORY ONLINE ENCYCLOPEDIA with a section for each local Historian to include a history of his or her locality and other information such as historical events, ties to tourism, etc. The ENCYCLOPEDIA OF NEW YORK HISTORY is excellent, but available only in paper. Partial models might include OHIO HISTORY CENTRAL: AN ONLINE ENCYCLOPEDIA OF OHIO HISTORY and HISTORY LINK: THE FREE ONLINE ENCYCLOPEDIA OF WASHINGTON STATE HISTORY. • Institute an online forum where Historians can raise and comment on issues pertaining to their work, share ideas, and collaborate with each other. The National Council of Public History’s HISTORY @ WORK: PUBLIC HISTORY COMMONS might be one partial model. • Develop a New York State and Local History channel on You Tube where Historians can post videos, e.g., presentations at local historical commemorations and events. 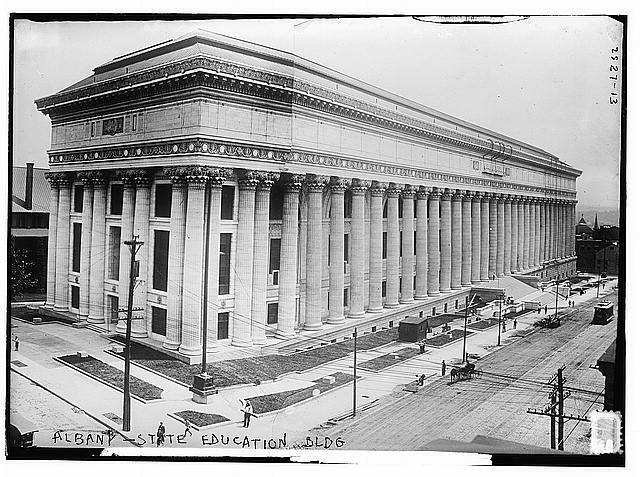 Photo: The New York State Department of Education Building in Albany, dedicated on October 17, 1912- Henry Hornbostel Architect. Courtesy Library of Congress. § 57.09. Duties of local historian. HAS ANYONE EVER CALLED ATTENTION TO TTHIS PENALTY? WHO IS IN CHARGE OF ASSESSING THAT PENALTY AND COLLECTING IT ESPECIALLY FROM HISTORIANS WHO GET PAID $100 per year or less?